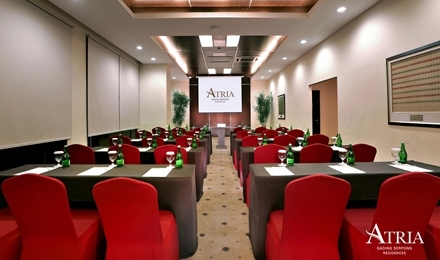 With 11 fully equipped meeting rooms, the Atria Hotel Gading Serpong is one of the most important business hotels in Tangerang. 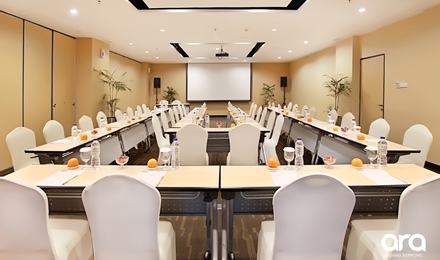 Our meeting rooms offer natural light, audiovisual technology for projections, presentations. 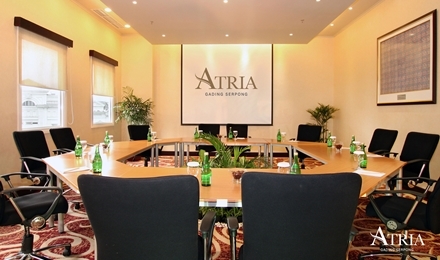 With 2 fully equipped meeting rooms, the Atria Residences Gading Serpong is one of the most important business hotels in Tangerang. Our meeting rooms offer natural light, audiovisual technology for projections, presentations. If you travel for work, the hotels of Ara Hotels are the perfect option for you to enjoy quality services, the adequate work atmopshere and the facilities you need. 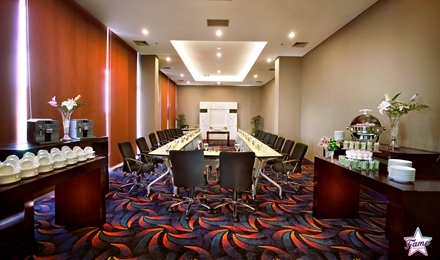 Fame Hotel Gading Serpong optimizes the dynamic of business in the 21st century, efficient and professional while maintaining our well known friendly and welcoming manner. When it comes to business and private function, we offer banquet facilities. There are seven modern meeting rooms able to accomodate up to 200 persons.